Former Big Bother Africa (BBA) housemates, Bimp, Angelo and Bassey have evidently fallen in love with Nigeria, and are in no hurry to return to their home country, at least not yet. The BBA gang who arrived Nigeria last week for Beverly Osu’s birthday gig are taking their time soaking in the hot Nigerian sun, and enjoying the scenery and all the Naija love. The gang of Beverly, Bimp, Bassey, Melvin, and Angelo are presently in Abuja along with Channel O TV host Denrele Edun, where they attended the spotlight show on Sunday, September 29. They will return to Lagos on Tuesday, October 1 to continue their visit. Sources revealed that although Angelo would eventually return back to South African later in October, Bassey plans to remain in the country until December while Bimp has hinted of his intentions to relocate to Nigeria! The Ethiopian has been professing his love for Nigeria on twitter ever since he arrived on Wednesday, September 25, 2013. 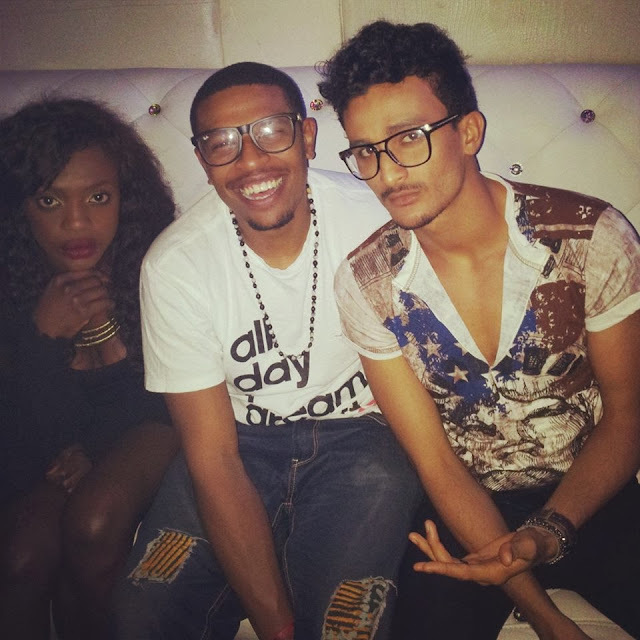 Meanwhile, the gang, including Beverly (with the exception of Bassey), will temporarily head to Tanzania later this week for fellow BBA housemate, Nando’s 10-day birthday bash.